The last part of this video is interesting because it might be the first time ever that a Kiwi has helped an Aussie win a Laser worlds! Great stuff. Lots of learning there. And here's a freaky rules question about that incident with that "crazy Aussie sailor" 170544. Laser Class Rule 7a say. "The Laser shall be raced with either one or two persons aboard." 1. So without anyone on board, is that Laser "racing?" Can a boat finish even if it's not racing? 2. Could the boat be protested for infringing Class Rule 7a by crossing the finish line without anyone on board? 3. 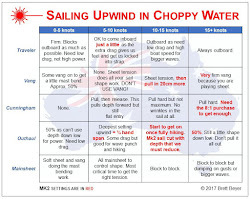 And if he was in any way propelling the boat while hanging on to the stern - a few leg kicks perhaps, maybe bouncing the stern up and down to pump the sail - would he be infringing Rule 42? Not that I'm suggesting that anyone in a world championship would break a rule intentionally or unintentionally. Just asking hypothetically. I think I'm right in saying that in horse racing, if the jockey falls off, the horse can't finish the race without him. My initial thought when Pam first showed me this was the rule about a crew being in a normal position: A boat finishes when any part of her hull, or crew or equipment in normal position, crosses the finishing line from the course side. But then Peter could argue that for him, this was "normal." 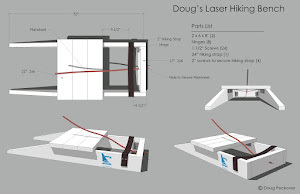 One of the readers on my blog is fond of repeatedly drawing my attention in comments to an ISAF ruling about some similar incident which ruled that being capsized is a "normal position" for a Laser. I guess that would apply here too! And in any case, the rule you quote is clearly referring to the part of the boat which first crossed the finish line is what must be in "normal position." The bow was in normal position. The position of the sailor in this case is irrelevant! Rule 47.2 says "No person on board shall intentionally leave, except when ill or injured, or to help a person or vessel in danger, or to swim. A person leaving the boat by accident or to swim shall be back on board before the boat continues in the race." Rule 45 says, "A boat shall be afloat and off moorings at her preparatory signal. Thereafter, she shall not be hauled out or made fast except to bail out, reef sails or make repairs. She may anchor or the crew may stand on the bottom. She shall recover the anchor before continuing in the race unless she is unable to do so." I doubt he was standing on the bottom and even if he was,not for any of the reasons listed in 45. And it sure looked like his leaving was accidental. But no one protested, so we will not know the official answer. That's the trouble these days with all these videos and blogs and stuff. People like Tillerman and Keep Reaching spend all day in their basements in their pajamas looking through all those sailing blogs just so they can pick on some poor unfortunate fellow who fell of his boat and accuse him of cheating. Don't they know that the RRS are more what you would call "guidelines" than actual RULES? I have no sympathy for any of you feculent maggots and no more patience to pretend otherwise. Gentlemen, I wash my hands of this weirdness. Thanks your for your insight and humor Captain Jack. I am honored to be called a "feculent maggot" by a pirate of your stature and fame. That's one of the nicest things anyone has said about me for years. We appreciate all comments on this blog but let's please not call each other names. We very much appreciate a healthy discussion of the rules from Tillerman and Keep Reaching and take it in the spirit it was intended. Not an attack of the sailor but a fun discussion of the rules. The incident happened right in front of the pin boat and I believe a judge boat was at the finish line as well (they usually were). There were no protests and this is so far after the conclusion of the Worlds that it is an appropriate time to discuss the issues as there can be no changing of scores. For the record, there is no way that Keep Reaching didn't meet Peter at the Worlds (he was the guy offering to let people go foiling on his Laser) and I'm not sure Peter has ever met someone that didn't like him. He is a fun and unique character. I'm sure KR's intentions were not meant to be an attack or accusation, just something for future reference. This feculent maggot would like to note for the record that he does not have a basement, which means that Captain Sparrow's comment is inaccurate. And, in addition to correcting this blatant error, I would also note that I am still looking for the part of any of the posts that accuses anyone of cheating. 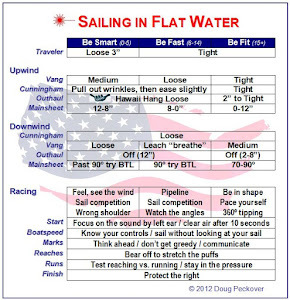 All I see is reference to some rules (I understand that the good captain considers it a stretch to refer to any part of the Racing Rules of Sailing as a rule, but bear with me.) If someone concludes from those guidelines/rules that cheating was involved, that is indeed their right, but it doesnt come from me or Tillerman. And also for the record, Peter is indeed a nice guy and it never crossed my mind that he was cheating. Whether a RRS "guideline" was broken is another question. Thanks for listening - I am going back to my bedroom in my pajamas now to surf some sailing blogs. Doug, what can I say? This is the way we train to sail down under. This is why we always win gold medals in the pool and it’s the only way we can beat the USA. We are better at stuff underwater. Ben Lexcen, rest his soul, started it with Australia 2 with the wing keel and we took our Australian cup back in 1983. I know you call it the Americas Cup, and that's alright because we know the truth because Oracle won with a crew that was 96.69% of Ozzie origin. Ben still inspires me to go kick Higher, Further, and Faster. I could go on but I have to get up early to go to the gym and practice kicking and stern grip control. Watch this blog for news about Glide Free’s plans for the USA.